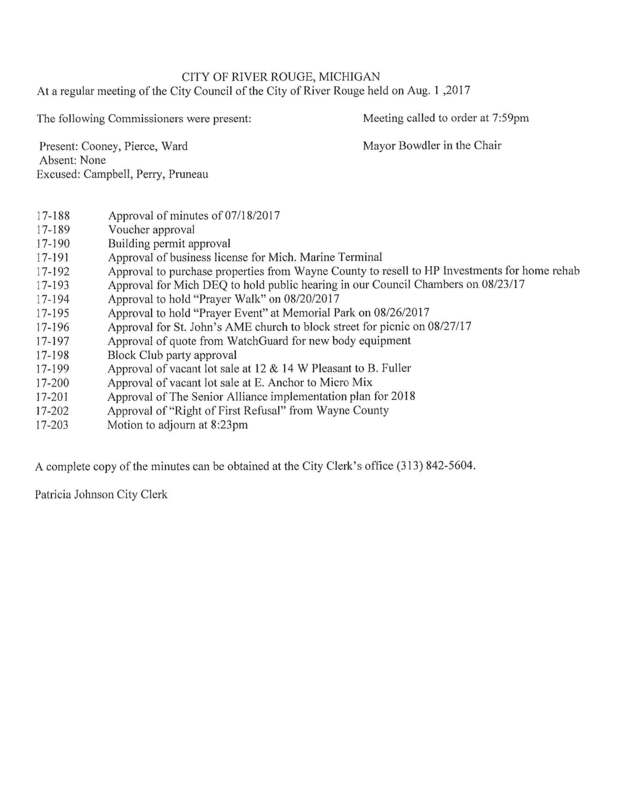 To find copies of the City Council Meeting Minutes below, first select the year of the meeting. Then, scroll through the meetings by their date and click on your desired date to open the document. For copies of meeting minutes not found on this page, requests may be made in writing with the River Rouge City Clerk's Office.